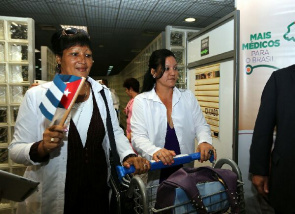 A group of 215 Cuban doctors arrived late on Monday (4) to act in the Program More Doctors. 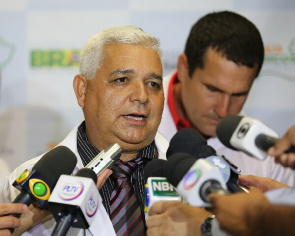 Professionals arrived just before 22 h and were received at the International Airport of Brasilia Presidente Juscelino Kubitschek by Health Minister Alexandre Padilha. They will fill unfilled positions in the second stage of the program. "We, Cuban doctors, we are willing to go anywhere for us to provide services," said Hector Torrez, 49 years and for 21 years practicing medicine, who arrived excited to work in the program. Ariel Hernandez, who has 12 to 38 years of experience, said he will not have communication difficulties. 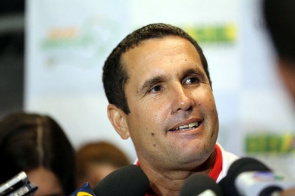 He stressed that all Cubans who will act in the More Doctors are generalists and are focused on working to prevent chronic diseases and communicable diseases. 250 more doctors should arrive later this morning to the capital. According to the Ministry of Health 2600 doctors arrive in the country until November 10. The following week come over 400 professionals, all Cubans. Currently, 3,664 professionals participating in the program, with 819 Brazilian and 2,845 foreigners. These physicians are catering to the population of 1,098 municipalities in 19 districts indigenous, mostly in the North and Northeast.